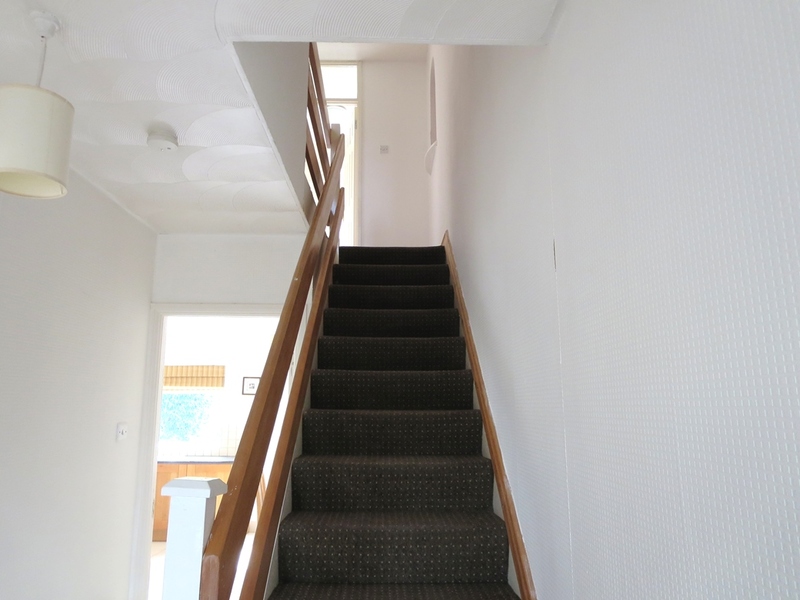 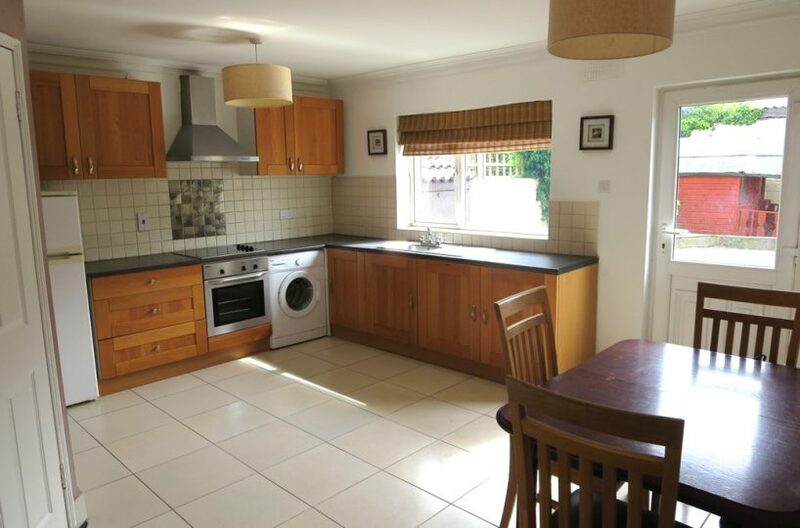 Spacious 3 bedroom family home Ideally located within in the popular estate Melrose Park and within easy walking distance of shops, restaurants, take-aways and the local pub. 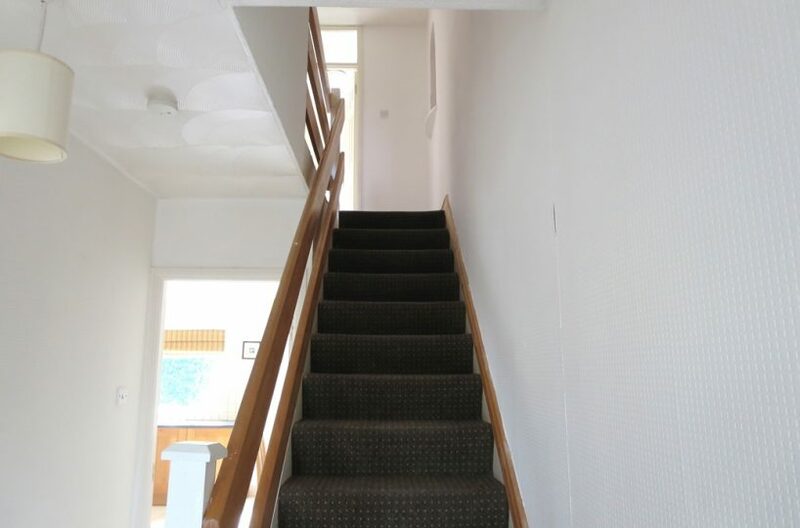 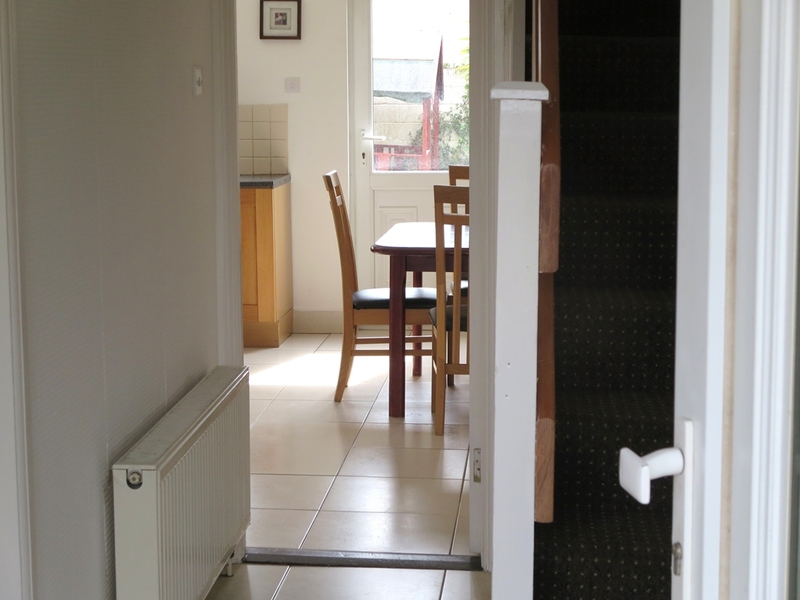 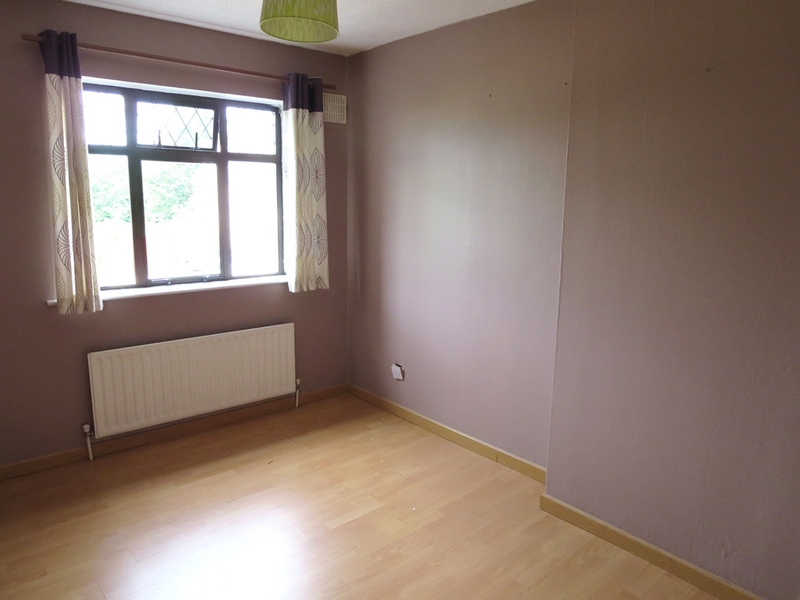 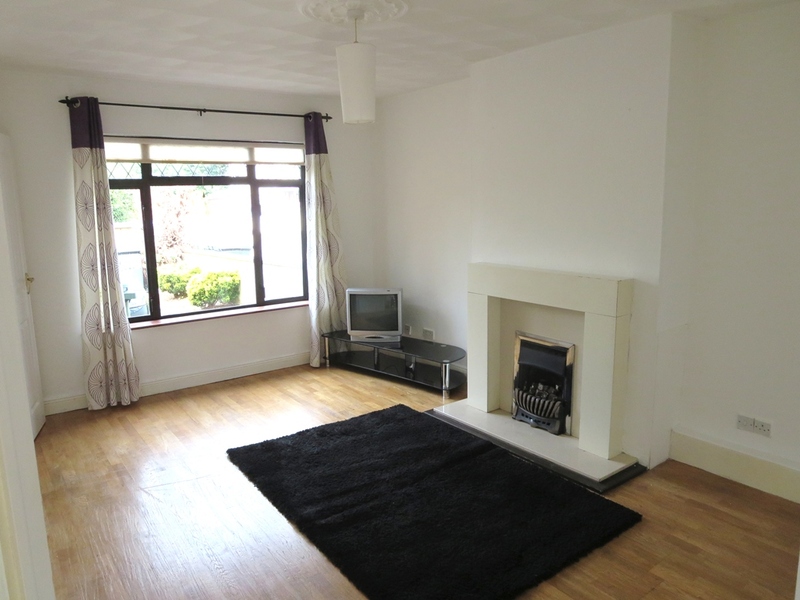 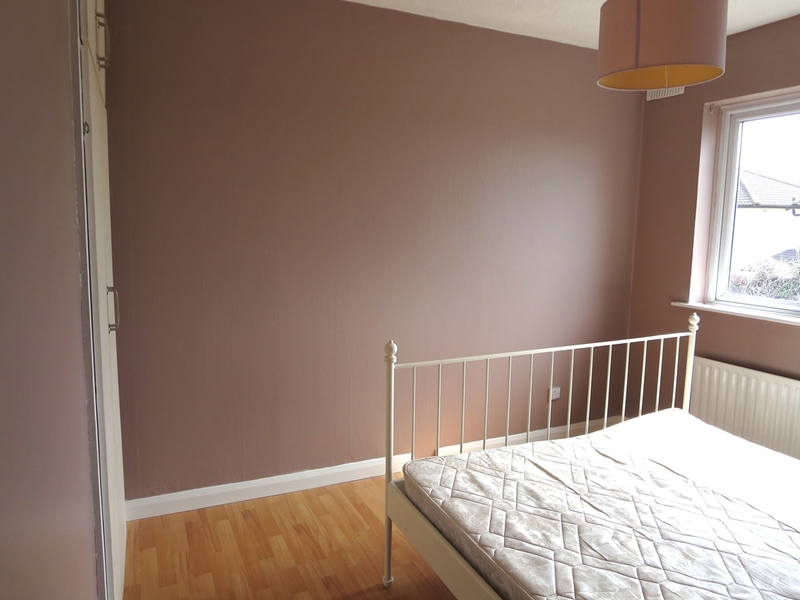 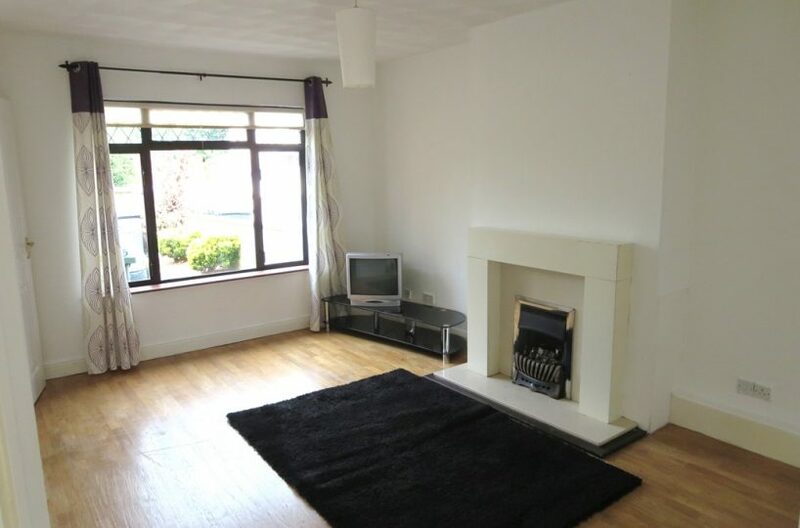 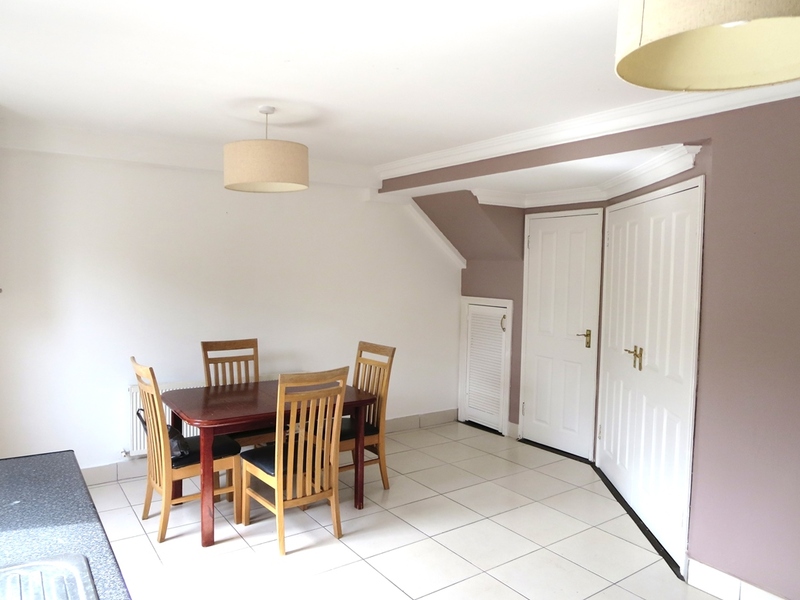 The property benefits from Gas Central heating and off street parking and a private rear garden. 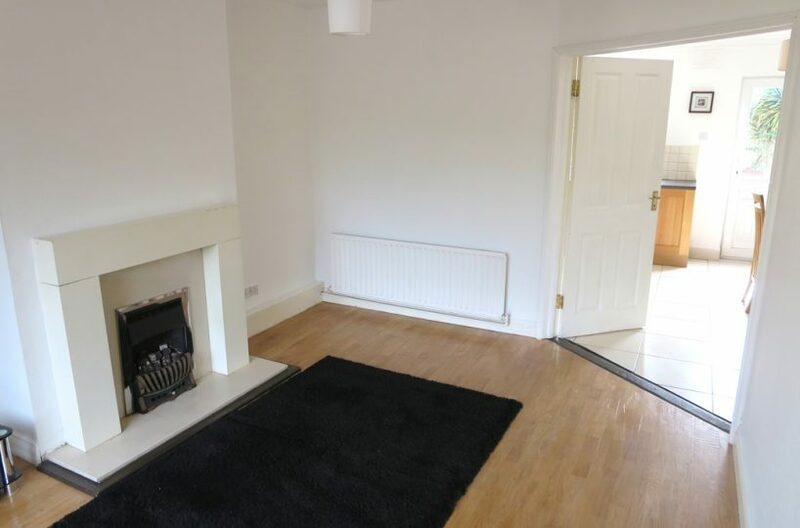 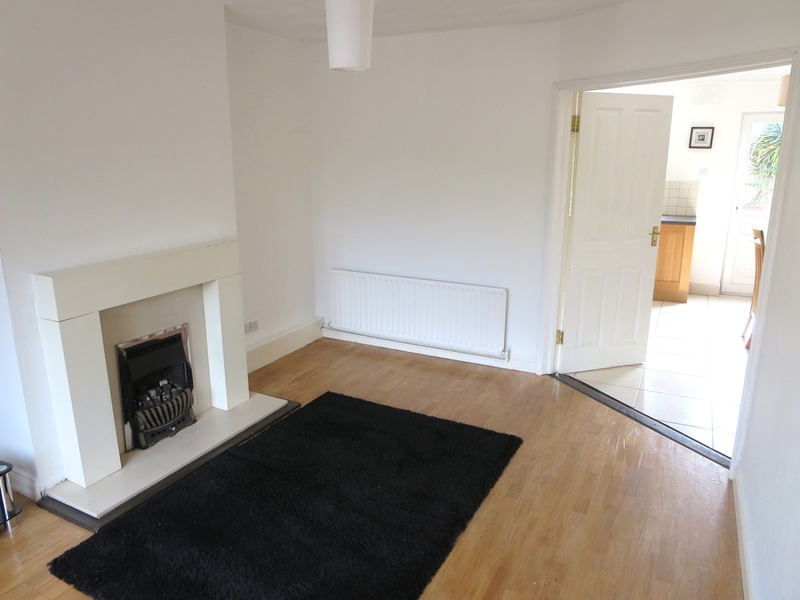 The ground floor comprises of an entrance hallway, a living room with feature fireplace which leads through double doors into a bright spacious kitchen/dining area. 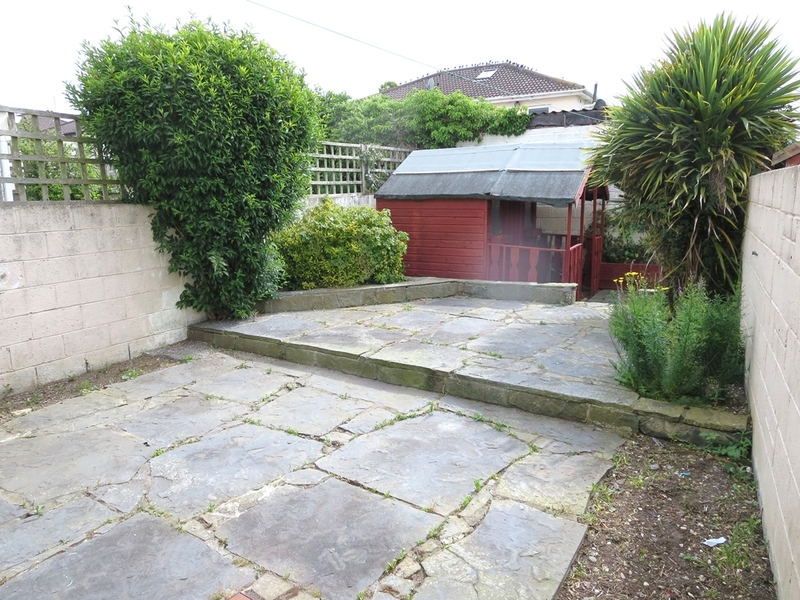 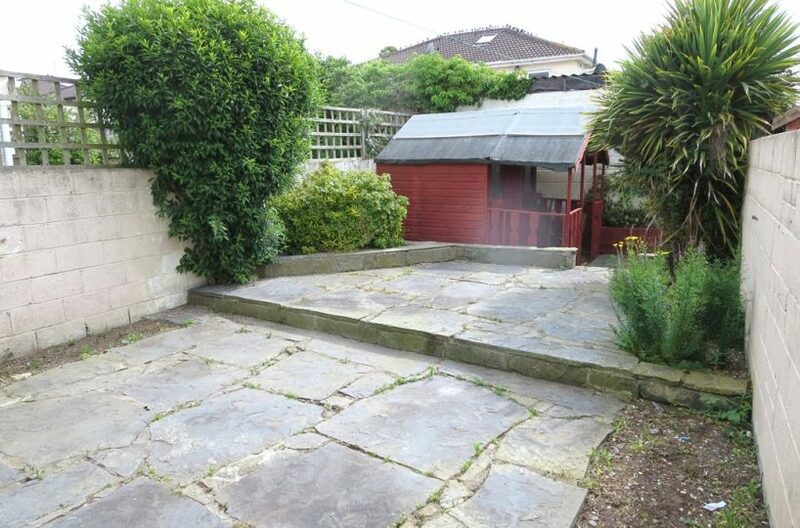 The paved low maintenance garden is accessed from the kitchen and benefits from a shed providing ample storage. 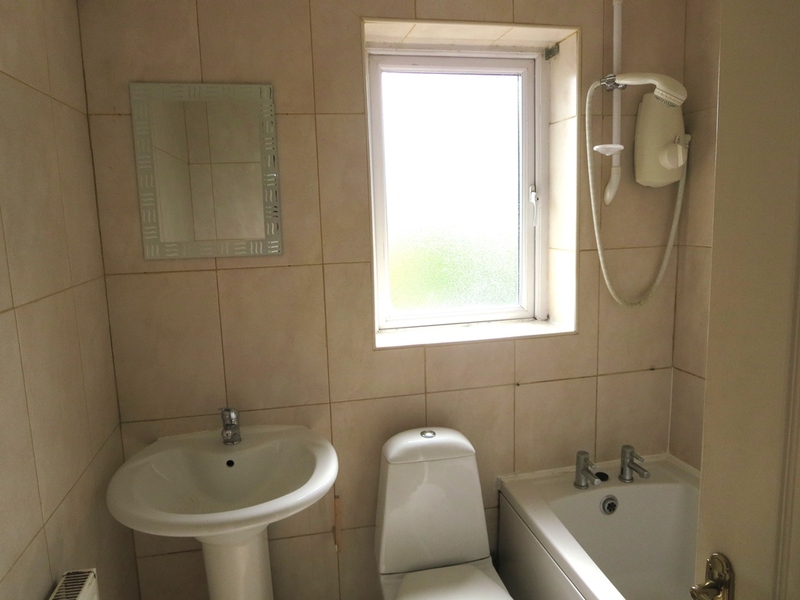 Upstairs comprises of a landing, a family bathroom with bath and power shower, 2 Double bedrooms and a single bedroom with optional beds. 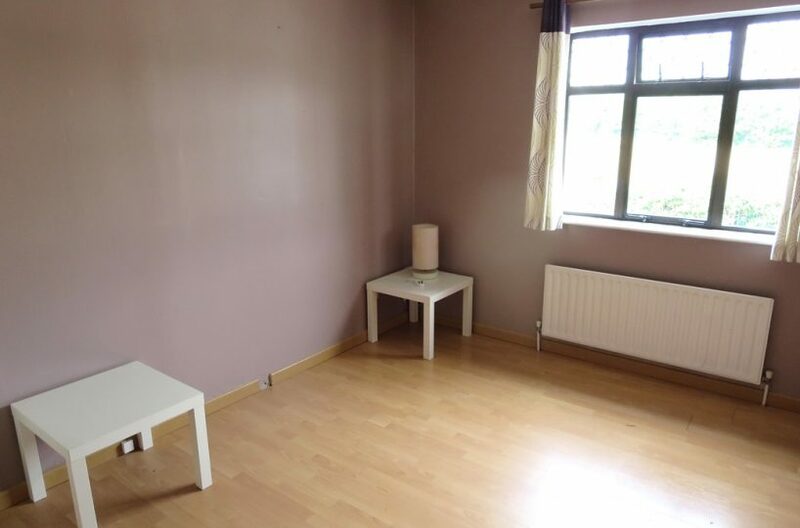 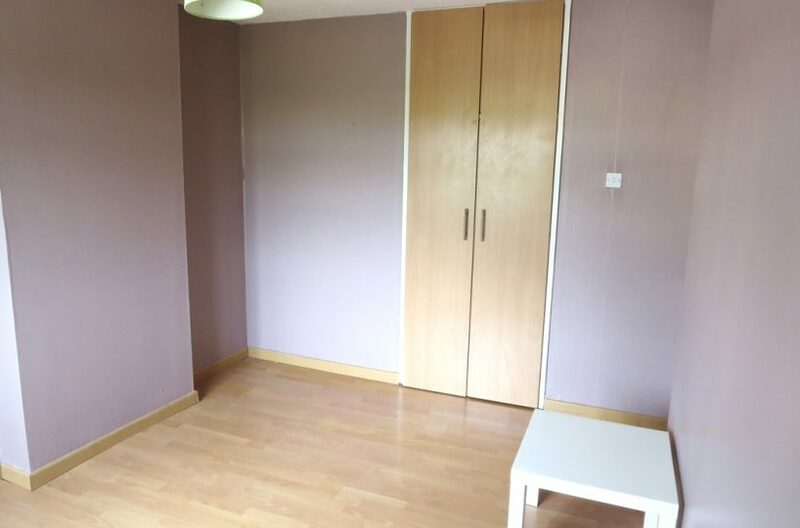 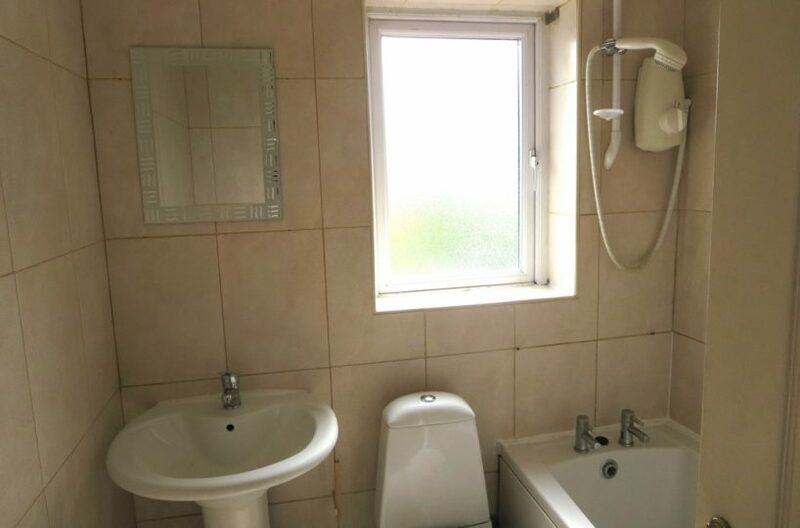 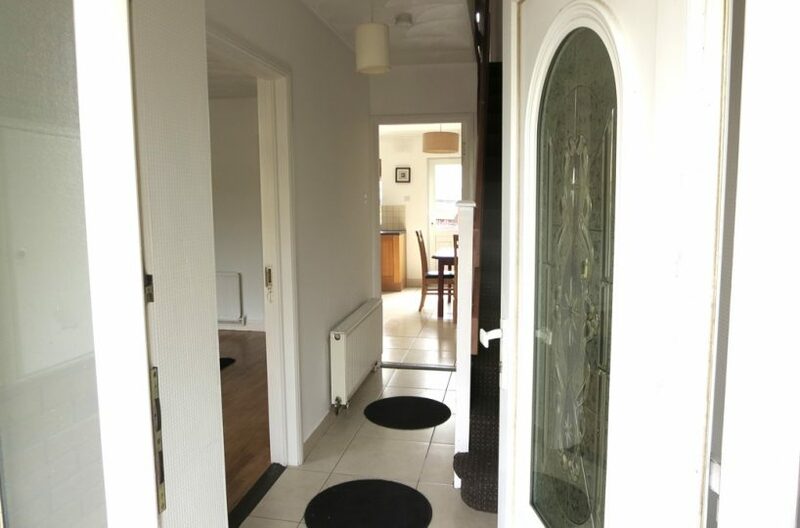 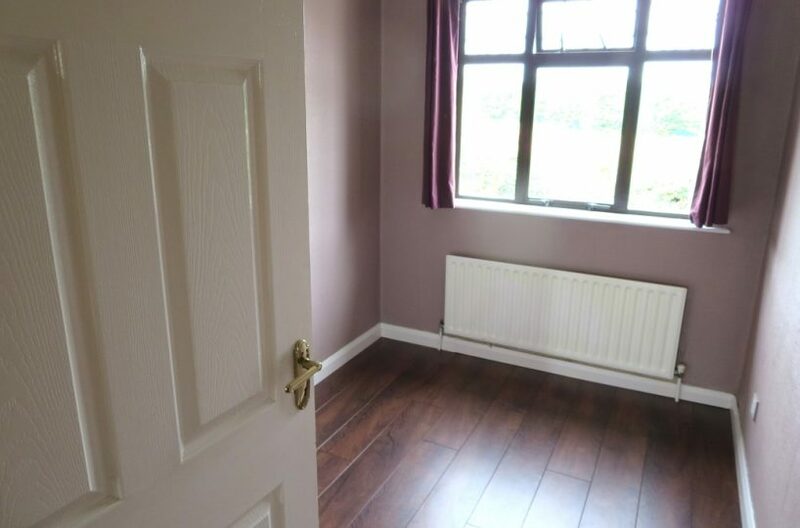 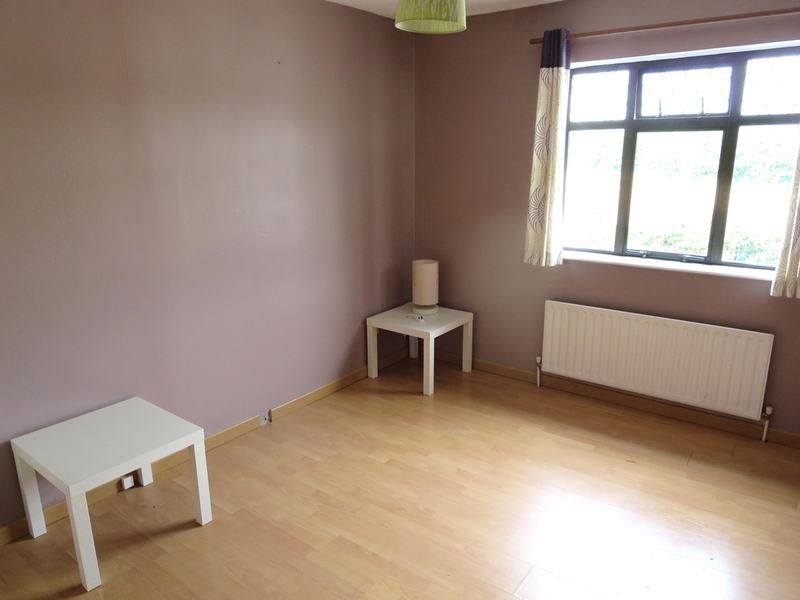 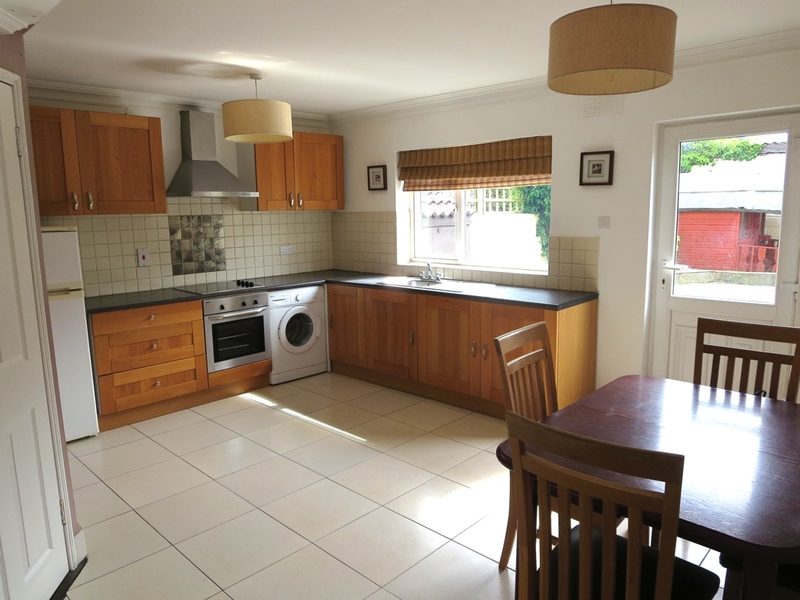 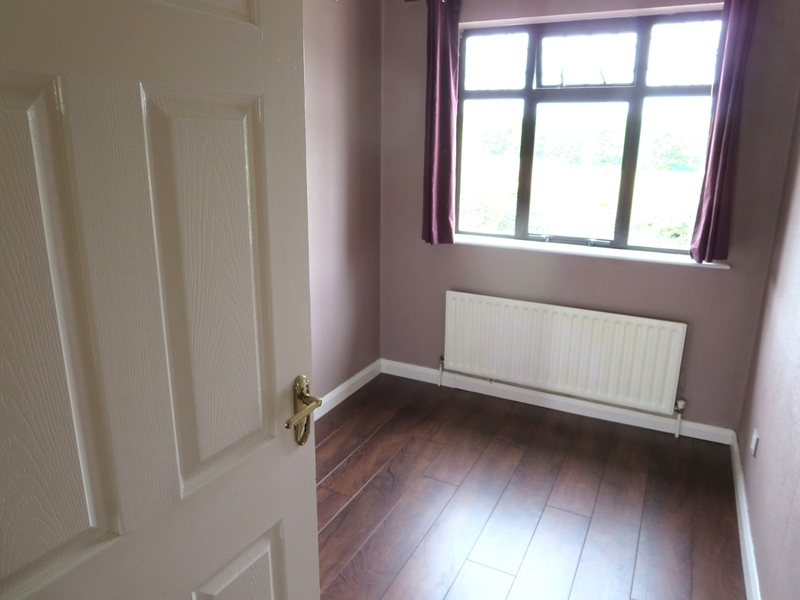 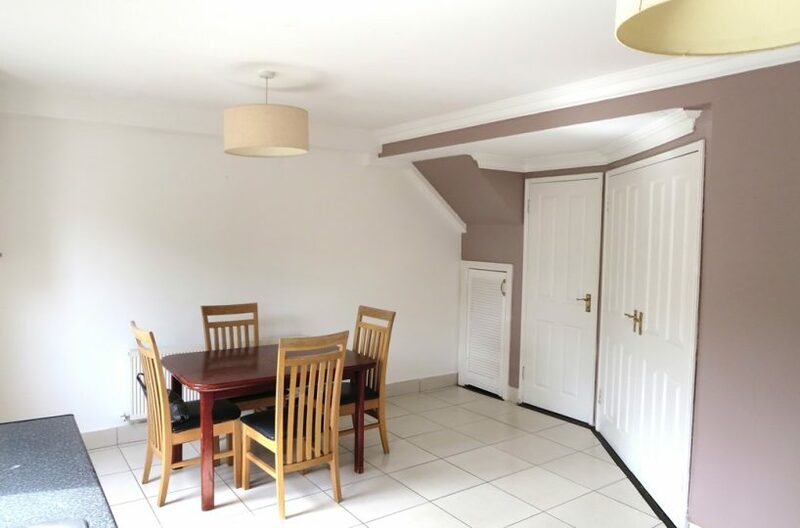 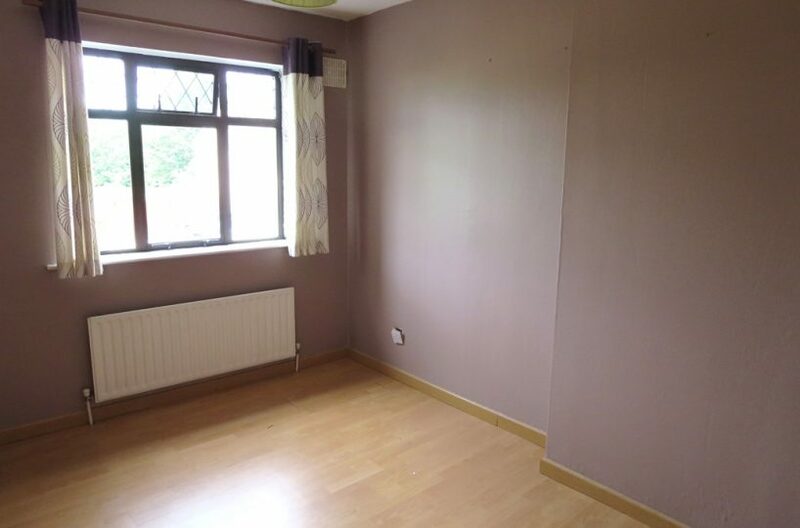 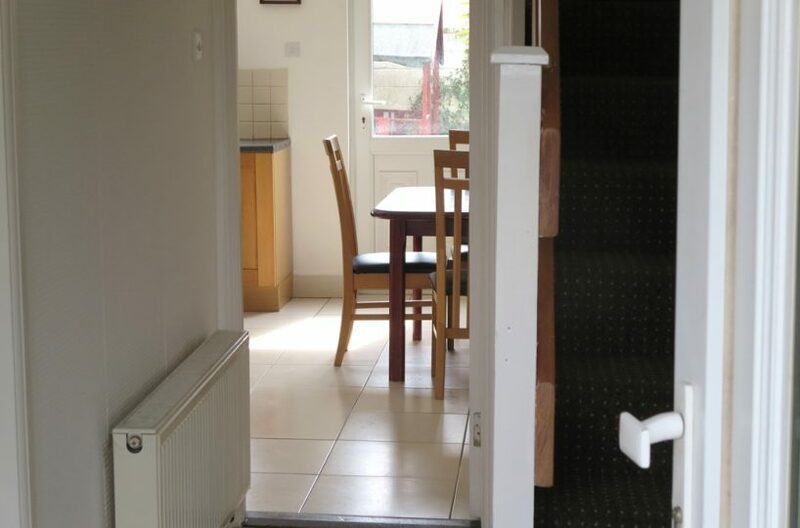 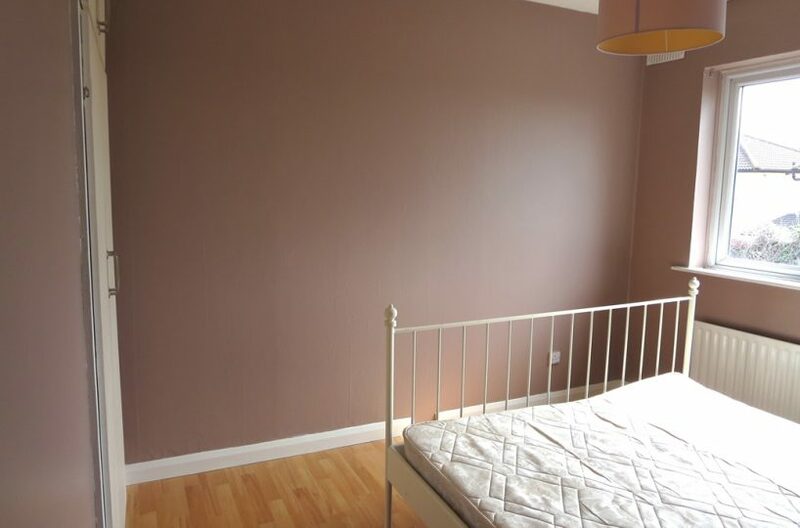 This property is situated 5 minutes drive to M1/M50, 10 minutes\’ drive to Swords or Malahide Village. 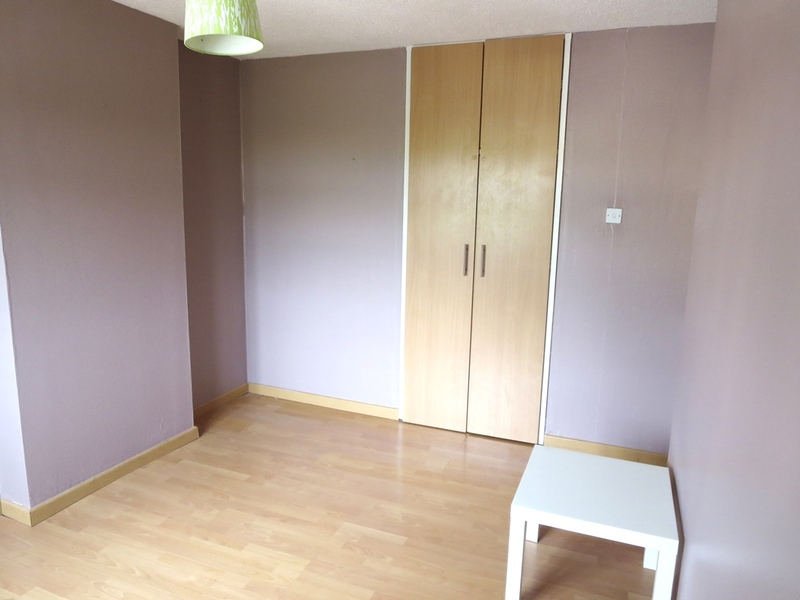 There is a convenient bus stop to city centre at the entrance to the estate. 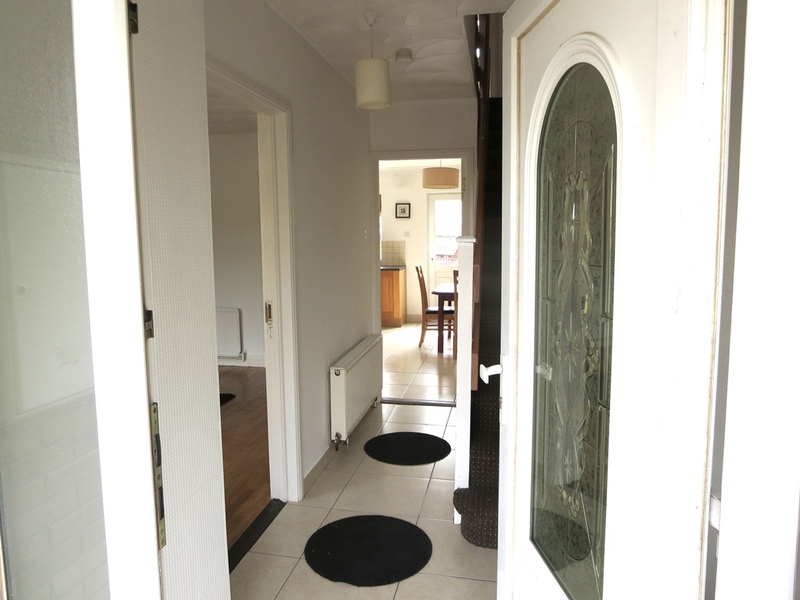 Email your details for viewing times.